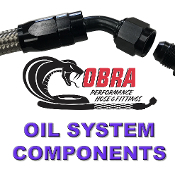 If you want nothing less than top-notch quality oil pressure hoses that won't blow off, even during cold starts or under the most demanding of racing conditions, our Cobra™ Performance Hoses & Fittings are the best in the industry. An efficient means of delivering fuel is of utmost importance to the performance VW enthusiast. Our Cobra™ hoses and fittings provide excellent durability, show-quality looks, and make it super easy to connect and disconnect your components. 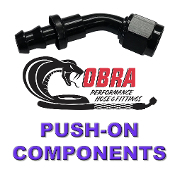 Cobra™ Push-On Hoses & Fittings are excellent for a variety of uses. They are far superior to standard barbed fittings and require no hose clamps. Simply push the fitting on to the hose and go. Adapting an AN fitting to a carb or engine case? Adding a fuel pressure gauge? 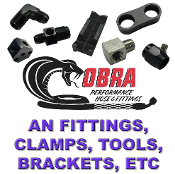 Need brackets to secure your Cobra™ fittings, or tools to assemble them? We have you covered in this section.